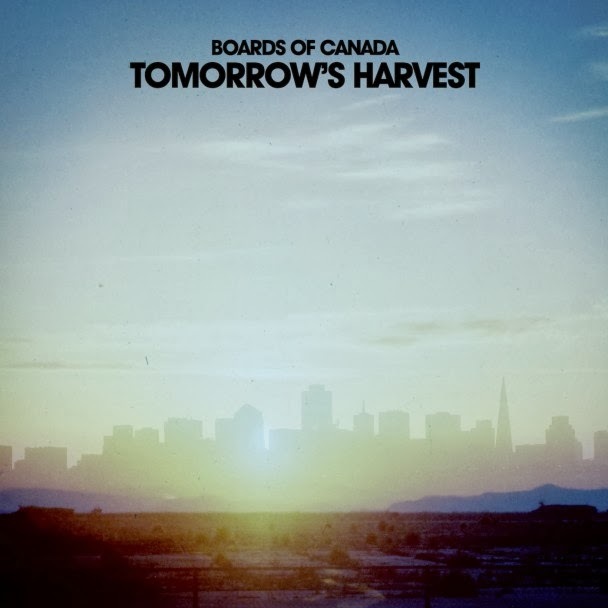 So I cannot tell a lie – I like Boards of Canada. Then or now, you could have knocked ‘Music Has The Right…’ and ‘Geogaddi’ for all manner of faddish reasons (I know I did), but you know what? I’m still playing them. And, whether taken as palette-cleansing immersive listening or just background-y accompaniment to tedious laptop grift, they remain singularly elusive and fascinating piles of music. Many, I think, have attempted to follow their breadcrumb trail over the years, but no one else has ever quite managed to hit that particular, paradoxical combination of comforting and sinister in quite the same way, or so scratch their peculiar itch just so. The less said about interim flop ‘Campfire Headphase’ the better, but now we can now at least forget about that and sing an eerie, phase-shifted child voice halleluiah, for ‘Tomorrow’s Harvest’ is with us, and… more than anything else, it sounds like a bunch of tracks that fell off the back of the lorry when the master tapes for ‘Geogaddi’ were on their way to the pressing plant, to be honest. Sure, there’s been some minor stylistic changes, some of them even seeming to reflect the whims of contemporary tastes – in particular, their use of rythym tracks has moved away from any semblance of stoner, break-beat head-nodding, and has assumed a more muted, industrial sort of character, whilst their synth work seems to be drawing more deeply from the currently ubiquitous well of Carpenter-ish ‘80s horror soundtrack chills (perhaps with particular reference to Ennio Morricone’s singularly icy Carpenter pastiche on his music for ‘The Thing’, if we’re gonna push the issue). By and large though, the feeling here is wonderfully familiar, with those reassuring ‘‘70s airport public service announcement jingle’ vibes are never far away, always ready to warm us up again, like a winter-time dip in a volcanic lake. There is still no one else who can get that particular, faded-photo, decaying synth sound to work quite like this, however hard they try, and, whether re-treading old ground or otherwise, it is fantastic to hear that beautiful methodology applied to a whole new set of compositions here. Highlights are many and varied, and I have neither the time now inclination to wax lyrical about them all here, but needless to say, if you retain any fondness for the old BoC albums and haven’t picked this one up yet, you should stop umming and ahhing and do so immediately. I know that sometimes saying a group’s new record is “just as good” as their previous ones doesn’t sound like much of a compliment, but in this particular case, I’m sure fans will appreciate how much weight such a statement carries. Preview and buy via boardsofcanada.com.